French is, truthfully, not the hardest research language in the world to learn for an Anglophone, but there can be other issues of access that a translation put out by an Anglophone publisher can help minimize — like, well, access. For example, I don’t really think I would have too much of a problem with the French in Archimandrite Job Getcha’s Le typikon décrypté: manuel de liturgie byzantine (Paris: Cerf, 2009), but a quick consultation of WorldCat tells me that, were I to try to get it via interlibrary loan, my home library would have all of three options in the entire world from which they could try to acquire it. Were I to try to buy it, it would be probably close to $70 once all shipping charges and currency conversions had taken place. By contrast, even if I don’t have a problem with the French, getting Paul Meyendorff’s translation, The Typikon Decoded: An explanation of Byzantine liturgical practice (Yonkers: St. Vladimir’s Seminary Press, 2012), for $23 and free shipping is just a lot easier all around. That may not be the most scholarly attitude in the world, but I’m over it. In other words, Schmemann is saying, the Typikon is best understood as a descriptive document of how the Church worships, not a prescriptive document of how churches should worship. I’m not here to argue or side with Schmemann; my point is simply that the title appears to be referencing this critique and suggesting that the author has taken Schmemann’s call-to-arms as his mission. 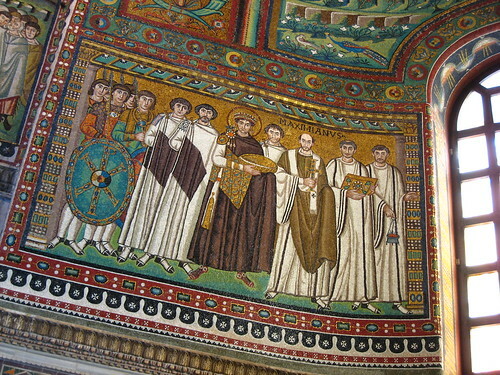 The preface suggests something of this approach in talking about about how the Typikon, “…far from being merely a collection of dry and legalistic rules, is in fact a summary of two millennia of the Church’s experience… It is living Tradition and the foundation of Orthodox spiritual life” (p.7). Despite comments like that, Schmemann’s manifesto doesn’t really seem to be the practical trajectory of the book, however — which, I should hasten to say, is fine, because there are lots of other merits that make the book worthwhile, but perhaps a title less laden with baggage would have been more to the point. So, what is the book doing? The first chapter is a very nice introduction to liturgical books used in the Byzantine rite; he uses Velkovska’s chapter “Byzantine liturgical books” in Liturgical Press’ Handbook for Liturgical Studies (1997) as a starting place, which has been a standard reference (to say nothing of the only real resource for Anglophone scholars available) up till now, but he’s able to bring a number of points up to date, which is most appreciated. It’s an excellent summary of what the different books are and the historical issues surrounding them. 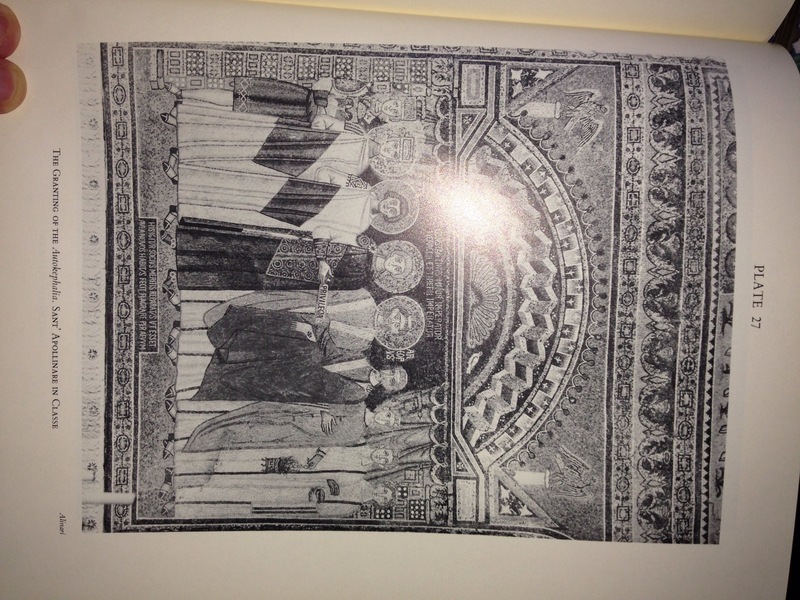 Following that discussion, the second chapter outlines the services of the Hours, the services celebrated daily apart from the Divine Liturgy — the Midnight office, Orthros, the Hours themselves (First, Third, Sixth, Ninth, the “Intermediary” Hours, Typika), Vespers, and Compline. Again, Archimandrite Job does a lovely job giving an introductory explanation of what the individual offices are and a brief account of where they come from. The third, fourth, and fifth chapters are largely matters of application, dealing with the Typikon is applied for services governed by the Menaion, that is to say the observances tied to fixed calendar dates, then the Triodion, the observances leading up to Great Lent and going up through Holy Week, and finally the Pentecostarion, the services throughout Paschaltide, ending with the Feast of All Saints on the Sunday after Pentecost. As with the first couple of chapters, there are brief, useful summaries of historical matters throughout. 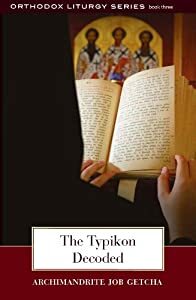 The Typikon Decoded is quite useful as an introductory treatment of Byzantine liturgical issues; one gets a sense of the various historical poles at work — city and monastery, Jerusalem and Constantinople, Studite vs. Sabaite, contemporary Greek practice vs. contemporary Slavic practice, etc. — and how these factors are synthesized over time. In conjunction with something like Robert Taft’s The Byzantine rite: a short history, a similarly accessible treatment of some of these issues, albeit from a bit of a different angle, Archimandrite Job’s book could serve as an excellent initial reference point. One also gets a picture of the foundational scholarship that is still yet to be done for Byzantine liturgy; critical editions of the liturgical books, for example. This is a baton that somebody needs to pick up and run with; there’s a lifetime’s worth of work out there for the textual scholar interested in Byzantine liturgy (and, it should be noted, Archimandrite Job is hardly the first person to try to encourage some reader somewhere to take it on). Some caveats must be noted, however. Other reviewers have already noted the near-total absence of Greek language liturgical scholarship by important figures such as Gregorios Stathis; besides that oversight, with the exception of a small handful of significant references — the aforementioned Velkovska, for example, and Peter Jeffery’s work on the Georgian recensions of the Jerusalem liturgical books in relation to the Oktoechos — Archimandrite Job effectively treats Anglophone scholarship as so much chopped liver. It seems very odd to this reviewer, for example, in a discussion of the state of the question of psalmody in the Cathedral Rite of Hagia Sophia, to ignore Alexander Lingas’ studies of the Great Church’s Vespers and Matins services. Granted that the Matins study remains unpublished as a book (“yet”, I am assured), but the dissertation is readily available as a PDF with a simple Google search. In Archimandrite Job’s treatment of the historical circumstances surrounding Akathistos Saturday during Great Lent in particular, his representation of the current state of the discussion was very surprising, omitting entirely the recent work of Leena Peltomaa and Vasiliki Limberis. That said, the other side of this problem is that the book is a great bibliographic reference for the Anglophone scholar for non-Anglophone research, particularly French and — perhaps more important — Russian. As much as we English speakers may have no excuse when it comes to French (and vice-versa), many of us still make excuses where Russian is concerned (myself included! ), and The Typikon Decoded is an excellent reference with respect to that particular language barrier. Other caveats are more cosmetic; I know we’re not supposed to talk about copyediting issues in book reviews, but persistent errors become distracting. Meyendorff universally chooses the verb “incense” rather than “cense” to describe the ritual action of swinging a smoking thurible, and while the dictionary tells me that’s a perfectly acceptable option, I can’t help but instinctively feel, when I read a phrase like “The priest incenses the entire congregation”, that I’m reading about a cleric giving a particularly bad homily rather than filling the room with aromatic smoke. There’s also the matter of the page header for the fifth chapter giving the chapter title as “The Services of the Pentecostarian” (as opposed to “Pentecostarion”) on every page. Still, I should stress that these issues are cosmetic rather than substantive. In terms of substance, SVS Press and Meyendorff’s efforts are well worth it, making a very useful introductory treatment of Byzantine liturgy accessible to a wider audience, and giving a much-needed initial glimpse into Russian scholarship for English speakers. Update, 10:34pm 26 May 2013: Sorry, two other points — a confusing reality of translating this kind of work is that hymns tend by convention to be referred to by incipit; Χριστὸς ἀνέστη, for example, instead of the Apolytikion for Pascha. Well, you have three choices as to how to do that in the target language; if they’re in a liturgical language that you expect your audience to be familiar with, like Greek, you can leave them in Greek. Or, you translate the incipits anew; maybe I refer to Χριστὸς ἀνέστη as “Christ stood up”. Or, you can decide that you’re going to use the incipits of a commonly used set of liturgical books in the target language; the Triodion and Festal Menaion of Met. Kallistos Ware and Mother Mary, maybe, and you make that point of reference explicit in a translator’s foreword. Meyendorff does not leave them untranslated, but I’m not entirely sure what he is doing; the incipits are not what I’m used to, and while I’m able to identify them from context most of the time, he doesn’t explicitly identify a schema that he’s adopting (there is no translator’s foreword or notes, and more’s the pity). The other point is reasonably brief: a topical index would have been most welcome. Alas. Update #2, 10:52pm 26 May 2013: One other thing that occurred to me that I really appreciate about Archimandrite Job’s treatment of the Byzantine liturgical aesthetic vis-à-vis the application of the Typikon’s rubrics: he treats it as, in fact, a multisensory aesthetic, rather than strictly as a manipulation of texts. He makes reference to singing, to censing, to lighting of lamps, to ritual movement — he does a very nice job of presenting the services as a bodily experience of worship; it is not simply a cold transmission and reception of texts. He does this without drawing any particular attention to it, it’s simply assumed as being the case, which is why it just occurred to me that it’s one of the positive features of the book.